Here’s a pretty unique Attack on Titan clip from Taiwanese animator Jordan Tseng. 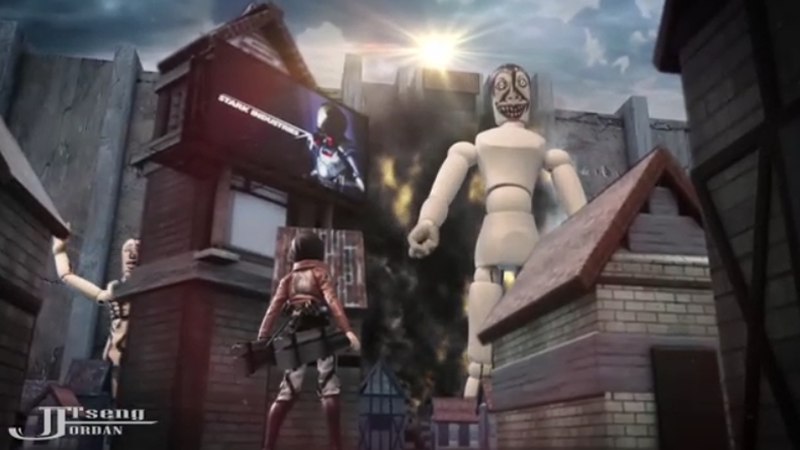 It’s a mix of stop-motion and CGI animation, with a Mikasa figure fighting wooden mannequins behind the walls of the human kingdom. It took two months to complete but it was completely worth it. These two minutes have more charm than the entire Attack on Titan movie.